For those with an interest in further research and willing to hear opinions from folks that some consider “fringe” , see: The Oppenheimer Ranch web site and the Adapt 2030 web site. But getting back to a much more mainstream source of information: The Old Farmer’s Almanac is famous for the accuracy of its long range weather predictions. For the winter of 2018-2019, they have predicted a very cold winter, east of the Great Divide. Be ready for a cold winter. And if you feel convicted to do so, then get ready for a long series of hard winters. First, study. Make your own assessment of the risk of a GSM in this solar cycle, or the next. Next, if you deem that threat credible, then evaluate your own locale and your personal/family situation. Then tailor a plan to suit your particular needs in your climate zone. Lastly, Stock up! Food storage makes doubly-good sense: Both as a means to feed your family in the midst of famine, and as a hedge on future food price inflation. Widespread crop failures always will accelerate food prices much faster than the underlying ongoing currency inflation. Likewise, stored firewood, coal, and liquid fuels make good sense–for the same two reasons. If you live inside of city limits, then inquire about the maximum quantity of propane, gasoline and other liquid fuels that can legally be stored. Outside of city limits, store all the fuel that you will need for two years of isolation, plus some extra for barter and charity. (Again, consult state and local laws.) If you can afford it, then buy underground fuel tanks. This makes your fuel storage much less obvious to visitors or passers by. It is also substantially safer than above ground tanks, for fire and ballistic protection. Be prepared for extended power outages. Unless you live in Florida, buy thermal underwear and true mil-spec cold weather clothing for every member of your family. Preferably, this clothing should be in muted forest or earth tone colors, so that it can double for tactical use. I realize that you might not have room to plant a garden or build a greenhouse. And if you live in an apartment, you might not have room for much food storage. But at least be prepared to grow sprouts, indoors. Those of you who live at a high latitude or at very high elevation should consider making contingency plans for relocation. I’ve just scratched the surface of this topic in this brief article. For greater detail on a potential GSM and how to survive it, I can recommend a book. 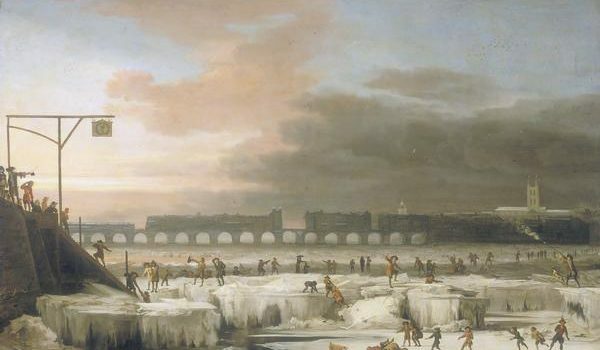 It is: Cold Times: How to Prepare for the Mini Ice Age, by Dr. Anita Bailey, PhD. IceAgeFarmer.com is another good site, with lots of information detailing the current crop losses. I have purchased Anita’s book and found some good ideas. I also love listening to Oppenheimer Ranch interview Lee Wheelbarger (on YouTube). A solar minimum is the only explanation I have found that makes sense, to explain all the volcanic/earthquake activity around the world – clearly C02 would not affect that. Interesting and ominous piece. Lately while out walking our dog I’ve noticed that the many squirrels in our area suddenly have unusually furry and bushy tails, far more so than usual. Could be the cunning little rodents know something we don’t. I m in Grande Prairie, Alberta. This year it snowed in September, aroung the 15th if I remember correctly. I have never seen snow in September. Usually, we wonder if it willbsnow before Halloween or not. Maybe watching the weather in northern Canada is a good measure of glibal cooling ? Don’t you know, climate change is man-caused these days. It can’t be due to any natural phenomena. They will preach that right up to the point where hypothermia kicks in. So we go back to the alarms of the 1970s eh? Back and forth, back and forth. It’s called weather, and if there’s one consistency about it, it’s that it will always be a changing. Spend a few years trying to grow something in Alaska, you’ll get a good idea. Come now, it’s proven science that only man can change the earth’s climate. You forgot to add the (/sarc) tag. Otherwise people might take you seriously, and add you to the “scientific consensus”. Will this cooling event increase or decrease cow flatulence? I’ve lost sleep over this issue for some time now. Totally agree on Wiggys products. I use his sweater with an unlined parka and it keeps me warm to Zero. Also have his Redington mukluks for ice fishing. Warm feet happy life. So, if this is another GSM, we’re looking at a long term situation, possibly lasting decades and NOT a short term situation – which makes it more serious, if this is what we’re looking at. Unfortunately, a grand solar minimum will not negate the human caused elements of climate change. We are likely to see even greater weather extremes as a result of both having strong opposing effects. However, [[attribution deleted by editor]], the volcanic and seismic effects of a GSM are likely to be catastrophic and may rapidly overwhelm human caused effects on the climate. Wow. Only one Wiggy bag left in stock at Amzn, at 0830hrs Mountain Time. Guess I better get more firewood, or wife will be cold. Bought the book and highly recommend it. You don’t have to subscribe to a new mini-ice age to get a lot of good ideas out of the book. Obvious author walks the walk. Not just the talk. Hugh background in preparedness and easy to read. Actually, I am preparing for climate chaos….Global warming and Global cooling at the same time…..Just imagine a hot summer followed immediately by winter with all kinds of chaotic weather patterns. this is sort of an unstable climate with massive crop failures. If global warming is true, but if you add global cooling at the same time, this makes for strange occurrences and “Weather Volatility”. will a gsm increase or decrease rainfall in the american west? I realize it said east of the great divide but I am curious as to what will happen in the northern Rockies. I’m currently in northern Idaho looking for land and I’m curious as to how it will affect the areas up there. I find organic matter, books, and plants to be very affordable in our present times. Woodchips are $20 a pickup load for me. I don’t know what compost would be from the local compost business, they advertise to dope growers and I don’t grow dope. So I end up mixing chickens fungi and woodchips to homebrew my compost. Books are about a hour wage ea. Then there are new to me plants that should do well on my place. Here’s an 8 year old article from a well known author, with some lesser known fruit bushes including seaberries. I got a sale bundle of seaberries recently for $80 one male and 6 females. One of the varieties was arctic beauty, at least one was developed and named in Kiev. So I do have some safety margin on the vitamins/fruits component of my preps. I went with the ECWS systems, luckily don’t need one for everyone, gotta have a few people on watch/tending fireplace! Lol. They are good systems and pretty cheap online lightly used. Been looking at small scale wind turbine and setting up a grow room in basement, GSM or Yellowstone either scenario it would come in handy. But when I just pulled out my Old Farmers Almanac (OFA) and looked at the predictions for all 18 areas of the US, the only ones showing lower temps are Desert Southwest and Pacific Southwest. Now they are saying Canada will be colder but just be careful of which source you are looking at. I even pulled up the OFA website to check and still only two areas in US showing colder than normal. Just say’n, and in a way I would really like to see a much colder winter just to shove it in the face of some people I know who still think Al Gore is the only one in the world who knows what is going on. I thought the issue was Global Warming….? Did I buy an additional Air Conditioner for this winter that I won’t be needing? The amazon summary of the Cold Times (by Bailey) book also says to consider what a colder winter & shorter growing season mean for your homestead animals & their feed supply. The military cold weather gear isn’t so effective in true arctic weather. Jim Phillips, of Spring City, Utah, a pioneer in foam-based cold weather gear, tested his clothing line in the US Army’s cold weather testing simulator with several Army volunteers wearing the ECWICs stuff. Sensors measuring humidity, temperature, were placed between the layers of the volunteer’s clothing and near the skin. The Army engineers said the test would last only two hours…..the reason being, no one has been able to stay in the test chamber longer than that. Sure enough, within the two hour time frame, both ECWICs-clad volunteers were deeply hypothermic and had to be evacuated from the chamber. As the outer layers of their clothing were removed, sheets of ice clinging to the material fell to the floor. Skin temperatures were quite low. Meanwhile, the crew wearing the foam clothing read magazines or napped, while engineers in the control room tapped on gauges to make sure they were working. The foam guys had dry clothing and comfortable temperatures near their skin despite sitting in -45 degree temps in sedentary conditions. No ice under their outer garments. After six hours of boredom, the test was brought to an end. In field tests, the foam clothing troops completely out-performed their Army-issue-clad rivals during maneuvers. in very cold weather, the Army spends most of its time trying to stay warm instead of conducting offensive operations. In spite of the demonstration, the US Army did not purchase the superior clothing, even for further research. Jim Phillips conducts seminars on how to manufacture your own foam cold weather clothing so you won’t have to be a popsicle…..like the US Army. One thing that’s pretty easy to do…buy a good N3B Air Force parka, and disassemble it. Replace the original insulation with 1/2″ open cell foam (like the stuff in your car upholstery). Manages moisture much better and it will serve you well. Buy the parka one or two sizes too large for you. You’ll need the extra room for the foam. Well, I do live in Florida. HURRAH!! Looks like our #1 GSM problem will be the hordes of damnyankee refugees who, unlike the snowbirds, will never leave.